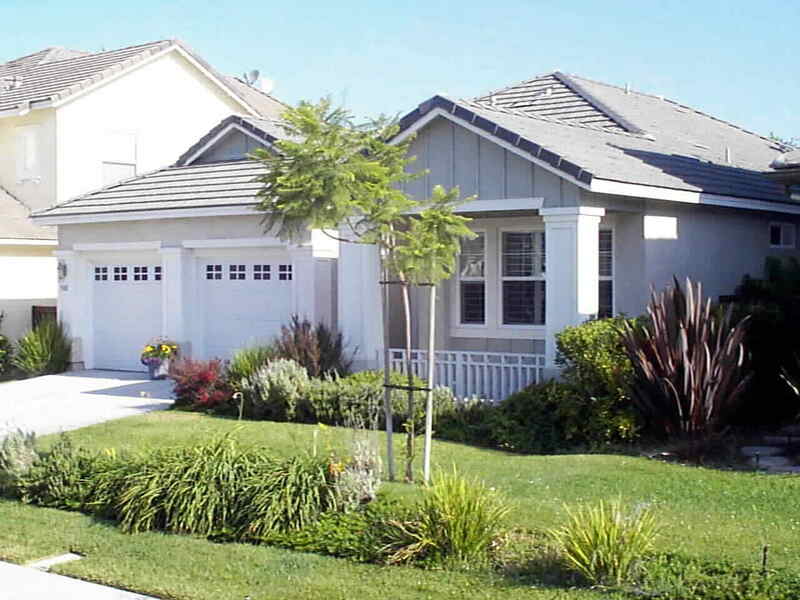 Looking for Retirement paradise.. or the perfect place to raise a family.. North San Diego County.. Carlsbad.. and Beautiful Calavera Hills might just be the ticket. This charming 3 year old single story treasure might just be the address too! Shown above the manicured lawn and shaded cool Southern Exposure porch just hint of the spotless upgraded interior... open great room floorplan... and charming private garden yard in the rear. 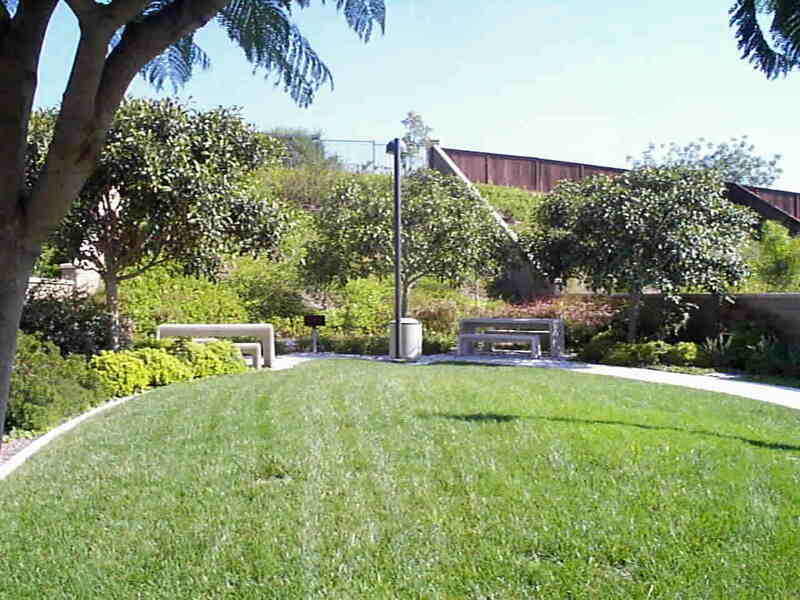 Planted to low maintenance and year round color.. this is the reason people want to live in weather perfect San Diego. Underground sprinklers... computerized... and well planned insure all is well while you travel... shop... or relax at the Beach... only minutes away! 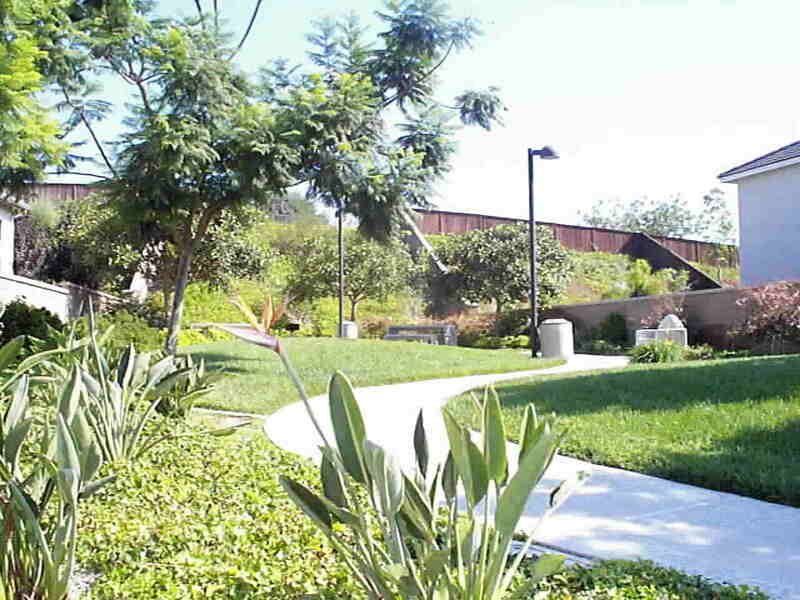 If you visit the Calavera Hills Link above.. be sure to view the open space.. Calavera Hills is Carlsbad's Link to Nature! SOLD for $30K more that last comp! Five offers in one week. Web Page was complete and working on day one of the listing! Please Enjoy the Beautiful Virtual Tour (Tour removed from Host when Property Closed) All of our listings enjoy virtual tours! Shown above on the left is the formal space.. dining.. and living.. that commonly get used twice a year... at the holidays... but not in this floorplan. Only the half wall of the entertainment center hides a portion of the dining area. 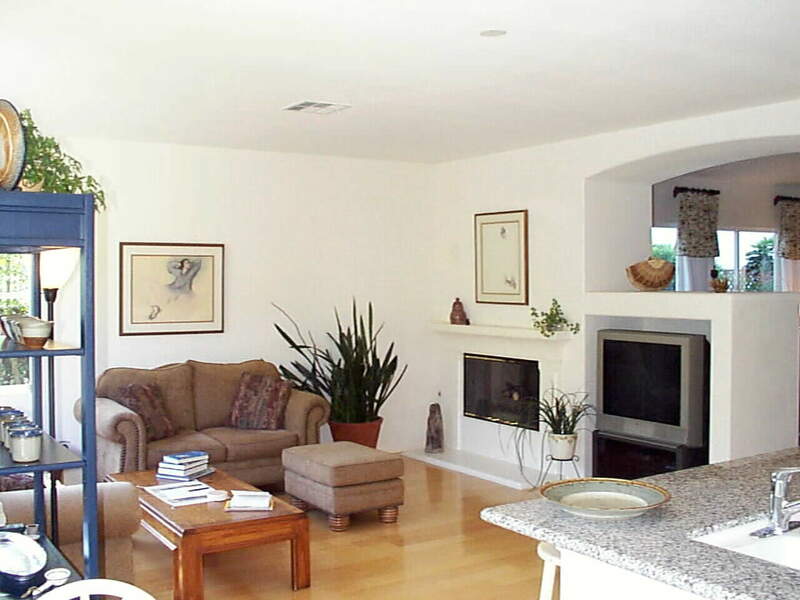 Open wide access to view.. and move freely insure this wonderful family room.. 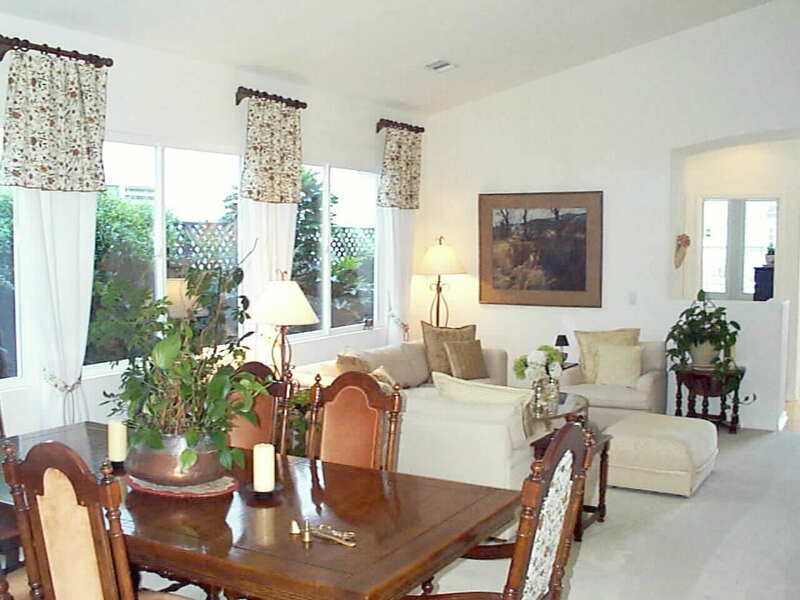 Bright open Formal Dining Room.. and spacious Formal Living Room will always be in use. 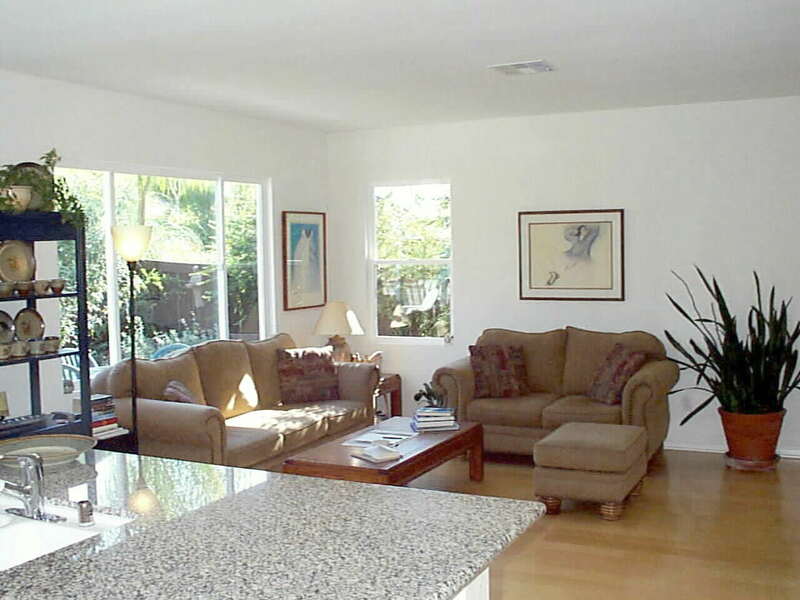 This 3 bedroom, 3 bath single story home at 2050 sq ft of living space is the entertainers dream. 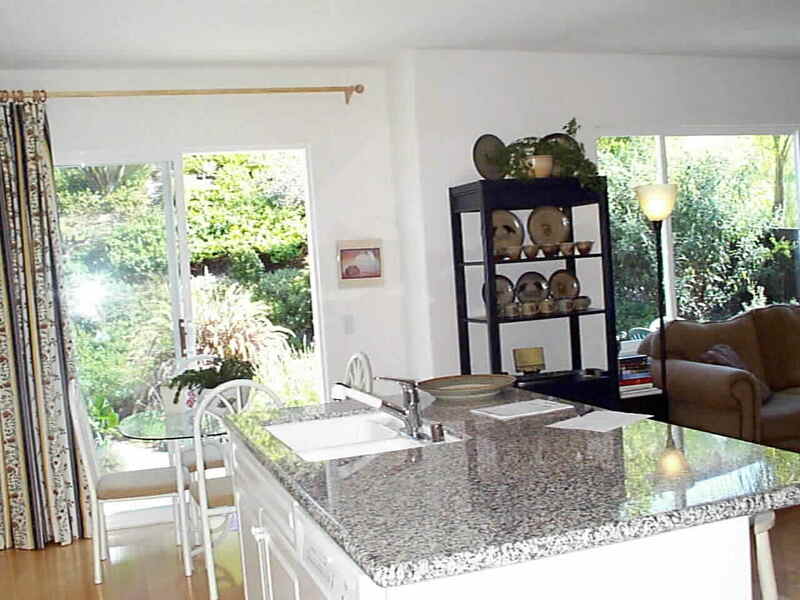 The Chef here will be the center of every party and the Center Island Granite work area the center of all activities. Seated in front of the cozy fireplace... just waiting for your stockings... or seated at the Center Island breakfast bar... the guests and hosts... will not miss a thing! Notice the plantings outside the formal area windows... framed by the beautiful custom draperies... plantings designed for privacy... and they work... and they create the feeling oneness with nature. Have you ever hosted a party.. or gone to a party that didn't end up in the Kitchen? This was designed to party! Notice the lack of window treatments on the North. Shaded from Sun... heat gain... and private from neighbors.. why would you shut it up. Always bright.. open.. airy.. and excellent cross ventilation and access to the garden and wildlife. Bring your own bird feeder... these birds are already spoiled. Elegant Granite Counters and Splashback insure ease of maintenance... and rich cabinetry and warm Maple flooring set the tone. 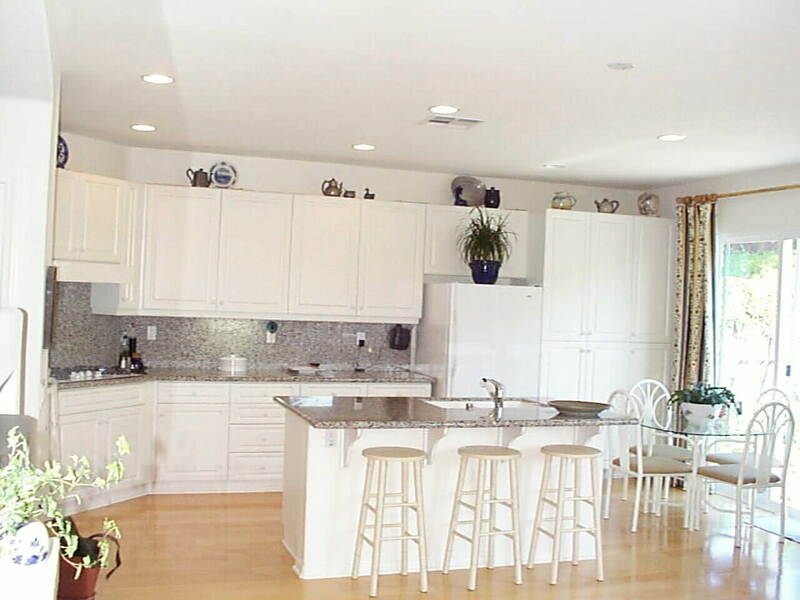 Not only newer... built in 2001... but better than new with over $30,000 in upgrades... and truly spotless! When realtors say "turn key" or "move in ready" sometimes you wonder what they were thinking of.. or if you're in the right house. This is the home that defines the correct use of these terms. Not a large yard... but a great yard! Easy Maintenance... year round color... no neighbors looking in... patio... sprinklers... drainage... all planned... beautifully finished... and the bird watcher's dream come true. This home is comfortable... cozy... yet spacious and elegant. As College Blvd. is completed and opened.. this is going to be one of the easiest accessed neighborhoods.. in Carlsbad... yet devoid of traffic noise. Location.. Location.. Location.. coupled with a wonderful City.. and Schools.. young family or retired.. this is a treasure. We've never had a buyer that said they wanted to pay more taxes.. and resale brokers have historically mishandled the issue of Mello Roos... And.. as anyone watching the current Governor's race knows.. Prop 13 was and is a great thing. But what if a City.. Carlsbad.. wanted to create a community like Calavera Hills.. required the developer to dedicate hundreds of acres to open space.. have multiple neighborhood parks for family gatherings.. tot-lots for children to play off the street.. and preserve riding trails.. hiking trails.. a local Icon Mt. Calavera.. and a local treasure... Lake Calavera. The Southern California Mountain Bike Community certainly rates this highly.. and The Communities Alive in Nature Program made possible by the Calavera Nature Preserve give grade school children the opportunity to be involved in and part of the ecological process. Programs like these.. and communities like this one come at a cost. 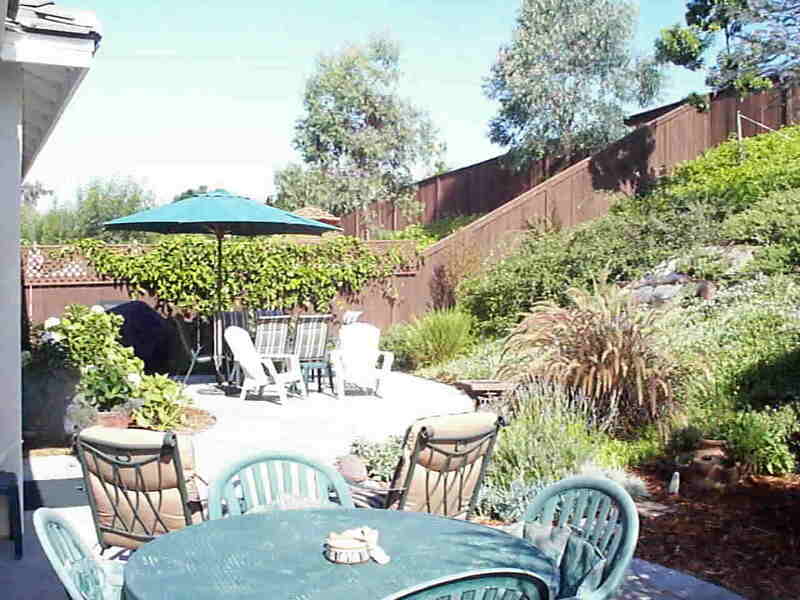 In the case of Calavera Hills.. a small one of an annual fee or $783.42. What an incredible value!